Labour and Conservative politicians have reacted with dismay to the transport secretary’s refusal to allow Transport for London (TfL) to take over suburban rail services in south east London. It emerged on Tuesday that Chris Grayling has rejected a bid by Mr Khan for further devolution of rail services to begin with parts of the South Eastern franchise, which is to be relet in 2018. As part of his announcement on plans to break Network Rail’s monopoly over rail infrastructure, Mr Grayling said he would be ‘inviting TfL to be more closely involved in developing the next South Eastern franchise, through seconding a TfL representative to the franchise specification team’. 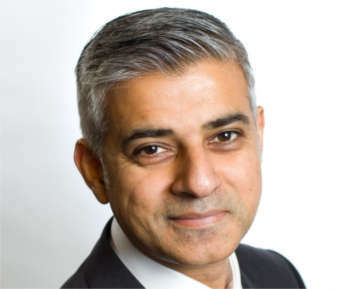 When it emerged that Mr Grayling was rejecting his devolution bid, Mr Khan said: ‘The only proven way of improving services for passengers is giving control of suburban rail lines to TfL. This is why the Government and previous Mayor published a joint prospectus earlier this year. There is cross-party support for this from MPs, assembly members, councils inside and out of London and businesses and their representatives. Bob Neill, Conservative MP for Bromley and Chislehurst, told Mr Grayling that his constituents ‘will regard his failure to remove the London metro services from the wholly discredited Southeastern franchise as a complete cop-out and failure, and as making no sense at all, as far as rail users in my constituency or I am concerned’.